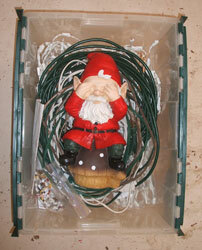 Lights down, tree undecorated and out, garland out, reindeer garaged, decorations packed, and gnome [carefully] stowed. Record time (a team effort). Onward into the decade.